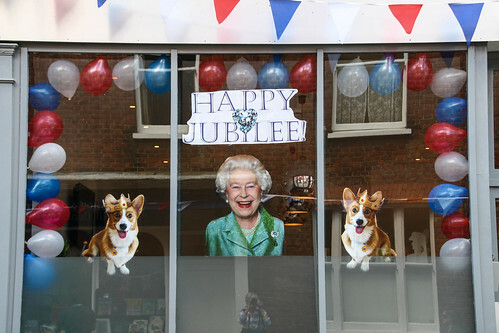 2012 was the Queen’s Jubilee so related activities were rife. Here are a few we thought of as a unit. UK flag, Jamaica written on the back, next person has Jamaica on the flag and The Bahamas on the back, next person has Bahamas flag and Canada on the back. Joins up into a ring. If you have a smaller number, this could be adapted into dominoes with a name on one half of a piece and the flag on the other. The two won’t match, but they’ll be able to fit them into a ring if they get it right. Each of the groups has a full set, or tackle as a unit. Queen has lots of servants/ladies in waiting – put together a tray per patrol with a cup and saucer with water in, dinner plate with marbles/malteasers or something that will roll or fall over – relay race to keep as much water in and the tray as beautiful to the end. Make it harder – put obstacles to walk round or step over, use items on the tray that are tall and very full of water (use blackcurrant squash for a very easy way to see the spills). Or make a route and see which patrol can deliver the tray to the table in the best state by timing them. one person in the patrol is dressed in a Royal outfit including crown using materials to hand. Newspaper, bin bags, recycled materials, clothes, sheets. Take it smaller, bring a few dolls to dress, or design a crown instead.